Sometimes a person accused of drunk driving has their blood tested to determine their blood alcohol content, or BAC. The result can be strong evidence against the accused but an experienced attorney will know that these tests are only admissible under certain conditions and only when the test is properly conducted. As an experienced Framingham DUI/OUI blood test attorney I can help you fight charges of drunk driving or OUI/DUI. 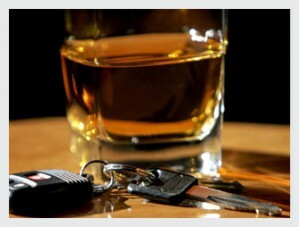 I am Stephen E. Dawleyand I have provided DUI/OUI defense for people in Massachusetts for more than 30 years. I know what is needed to challenge the results of a DUI/OUI blood test. If you have been pulled over by the police on suspicion of drunk driving, call my Framingham office at 508-308-8191 or e-mail me at steve.dklaw@verizon.net for an appointment. In Massachusetts, a blood test result can be admitted at trial only if the police followed the required procedures. There are strict protocols. Also, someone from the hospital might be required to be present at trial to testify. Blood tests are not perfect and might be inaccurate if the hospital did not administer the test in a proper and medically correct manner. If I represent you I carefully review the circumstances of the blood test. I know Massachusetts OUI/DUI law, and I have more than 30 years of experience that allows me to come up with the best strategy for your case. I have spent my career helping the people of Framingham and the surrounding communities, and I am prepared to fight for you if you are charged with a crime.